Temperature differential, is the difference between the turn-on and turn-off temperatures on a thermostat, whether heating or cooling, and generally ranges between one and three degrees. Many modern digital and mechanical thermostats provide for adjusting this value, to account for differing home construction types and locations, types of furnaces, and personal comfort preferences. 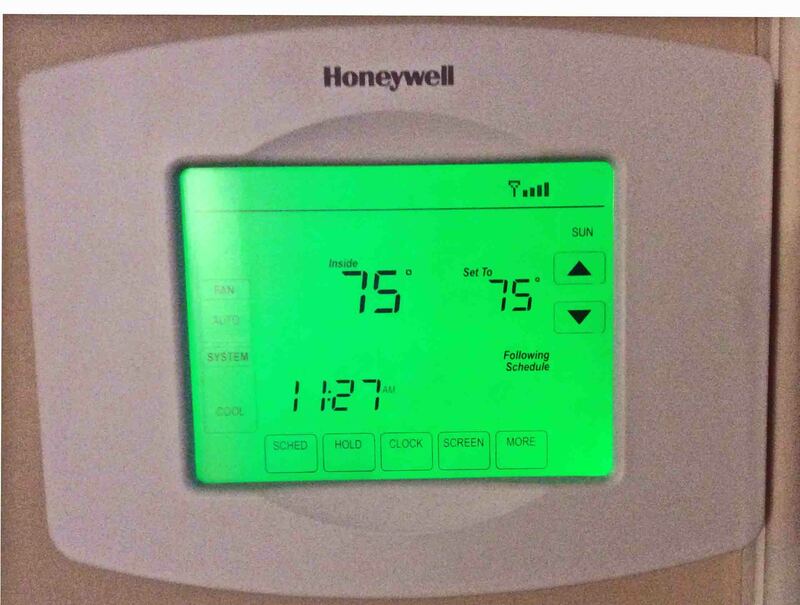 However, the Honeywell RTH8580WF WiFi thermostat does not provide temperature differential adjustments. It attempts to keep the room temperature within 0.5 degrees of the set value, using its Smart Response technology if enabled. We’ve found this highly adequate in our apartment central air / hot water heating system. You could try adjusting the heating cycle rate setting (parameter 0240). No similar adjustment is provided for cooling. First, verify that this parameter is set correctly for your particular furnace / HVAC system. The choices are: 5-Gas or oil furnace; 9-electric furnace; 3-hot water or high efficiency furnace; 1-steam or gravity furnace powered by gas or oil. Then, let the system operate for several hours and note any uncomfortable temperature swings. Chances are that you’ll feel none, as the RTH8580WF regulates the furnaces quite tightly; especially when the smart response technology is activated. However, if the room becomes too cold before the furnace kicks on, or too hot before it kicks off, try adjusting the set temperature up or down respectively by a degree or two. This may help. But if ultimately, you decide that the temperature swing allowed by the RTH8580WF is too great, THEN try changing the heating cycle rate, which controls how many times per hour this thermostat will turn on your furnace. Note that longer cycle times will promote larger temperature swings. Shorter cycle rates allow for more precise temperature control.